By the time Dwayne Johnson finished dancing for his daughter Jasmine on Monday, she could probably smell what the Rock was cooking in that Pikachu outfit. Johnson danced up a sweat for his young daughter for Halloween, entertaining her by shaking his booty in a giant Pikachu outfit. Somewhat unfortunately, the encounter resulted in tears — and not because the sight of an enormous man in a Pikachu outfit might be considered traumatic for some infants. A video documenting the encounter shows Johnson delighting his daughter with his Pikachu dance, before turning the corner and removing the head of his costume, revealing rivulets of sweat pouring down his bald dome. “Whew; what daddies do,” the overheated Johnson declared. On the plus side, at least it was just sweat and not some other bodily substance that Johnson ended up covered in this time. Watch Johnson rock the Pikachu costume in the video. 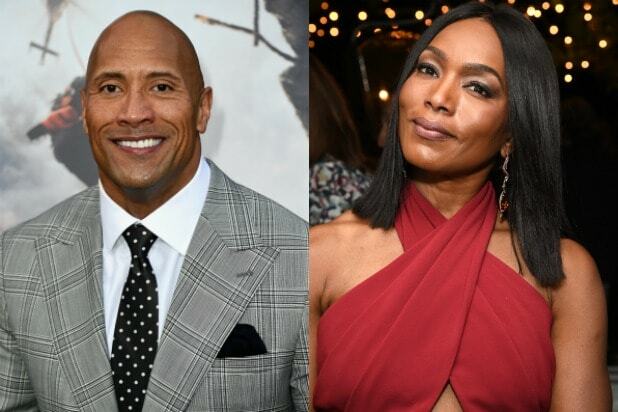 We all know Hollywood has some secret magic to make their stars appear younger than they really are, but we don't believe anything out there is this powerful--these TK celebs really do not age. Williams is 43 years old. But he looks 12. The "Happy" singer probably has the fountain of youth hidden somewhere in his backyard. There have been theories that Williams is a vampire, but he cleared those rumors up in a 2014 interview with TimeOut. How old is Union, really? 16? 35? 134? We don't know because she literally looks the same at all those ages. By the way, she's 43. We can only hope to look like that at 43. 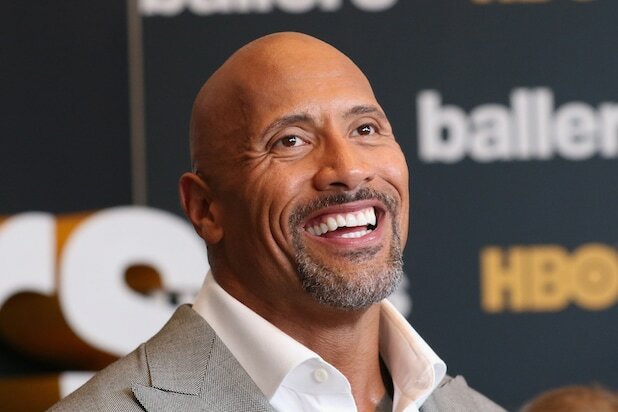 "The Rock" is 44 and an immortal being. Don't believe us? Just check out this throwback picture he posted of when he was just 16. It really doesn't matter how old Sandra Bullock is really because she hasn't aged since 1998. InStyle did a feature on the star's 51st birthday where they documented her transformation. Spoiler -- she doesn't transform. Elijah Wood is now 35, but still looks like the same 22-year-old who played Frodo who the last installment of "The Lord of the Rings. Maybe Middle-Earth had some reverse aging Benjamin Button type stuff going on? She's 47. Three years shy of 50. Jennifer Lopez is almost half a century old and can still pass for 21. Just look at this timeline of her photos from 1995-2014. Paul Rudd is 47. He's been in practically every single movie since the 1990s until now and still looks like a twentysomething. If anything, he's just gotten more handsome. BuzzFeed even came to the conclusion that Rudd was immortal. Who looks this good at 49? No one. No one looks this good. John Cho probably goes swimming in Pharrell's secret fountain of youth pool. The 44-year-old could play in another "Harold & Kumar" film without having any time elapse in the plot line. Jennifer Aniston is a cool 47. Yeah, we don't believe it either. In an interview with Yahoo, she attributed her youthful look to her genes, drinking water and getting sleep. Halle Berry recently turned 50, but can pass for your younger sister. We don't know how she does it, but in an interview with Marie Claire she reveals six things that keep her young. We don't know about you, but we're taking notes. Hugh Jackman is the real-life version of wolverine. Or maybe he came across vampires' anti-aging elixir. Whatever it is, he doesn't look 48. Alexis Bledel is 35 (yes, 35) and she can still play the role of a recent college graduate on "Gilmore Girls," even though almost 10 years have passed since its last season and this year's revival. Whatever Angela Bassett is having, we'll have 12, please. The "American Horror Story" star is currently 58. From her role in the 1991 classic "Boyz N the Hood" to the 2016 film "London Has Fallen," Bassett has probably aged a total of five years. Rob Lowe is definitely past the half century mark at 52, so excuse us if we can't understand how he still looks so good. Natalie Portman is here to tell us that 35 is clearly the new 20. Here's proof that the "Black Swan" star ages more gracefully than a ballerina dancing Swan Lake. Naomi Campbell is 46 and looks no older than when she first appeared on the cover of British Vogue at age 17.